We offer a wide selection of anchors. Whether you’re hanging pipe, a shelf or mounting your pedestal grinder to the floor in your shop, we have the right chemical or mechanical anchors for your application. We stock Toggler wall anchors, Titen HD anchors, HDG anchor bolts, and much more. Available in light- to heavy-duty styles, wedge anchors are ideal for mounting objects to solid concrete. We offer a range of lengths, diameters, and materials to meet your needs. Screw anchors provide exceptional holding power and excellent vibration resistance. Denali Industrial Supply offers screws anchors in sizes and finishes to fit any application. Wall anchors are ideal for attaching picture frames, mirrors, and other heavy objects directly to a wall. Our inventory includes Toggler wall anchors and other leading manufacturers. The L- or J-shaped bolts are different from traditional anchors—they’re used to anchor structural supports to concrete in building and construction applications. 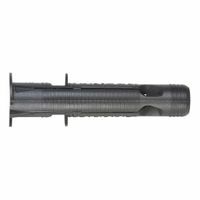 We offer plain and HDG anchor bolt options. 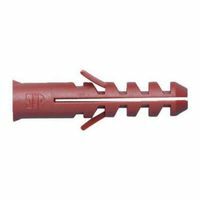 These light duty anchors provide fast and permanent attachment. Denali Industrial Supply offers drive and impact anchors in a variety of sizes and configurations to fit your needs. Designed for anchoring object to concrete, drop-in anchors are a perfect solution for mounting shelves on the wall or securing machinery to the shop floor. We offer a variety of sizes and lengths. Anchoring Epoxy & Pre-Cut Anchor Rod. Anchoring epoxy is a fast-acting adhesive that provides even more secure attachment when working with anchors. Our durable pre-cut anchor rod is available in a range of diameters and lengths. These anchors are ideal for shear loads, high vibration applications or those with side pressure, and for anchoring to base materials of questionable strength. We offer a range of sizes and styles for all applications.